ING Direct Kids Savings Account is an ideal way to teach youngsters about saving money and watching money grow. With only $100, you can open a Kids Savings Account and start to earn a decent interest of 0.80%. 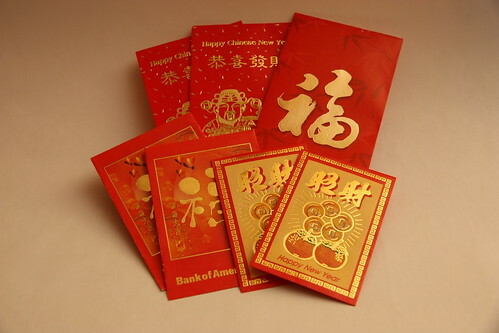 There’s a long tradition in China during the Lunar New Year celebration that, in addition to eating dumplings and getting new clothes, parents, grandparents, or even relatives give children red envelopes containing a small amount of money. The money is for the whole year since parents usually don’t give kids any extra allowance during the year and the children are allowed to use the money for things that are approved, but most of the time, parents would just take possession of the money and save it for the kids. This past New Year in late January was the first time that we gave our two daughters the red envelopes with $100 inside. Following the tradition, we told them that the money is theirs and they could use it at any time as long as it is used for good reasons. And if they behave good, they will get some extra from time to time. We also told them that for the time being, we would just keep the money for them so they don’t lose it accidentally. By giving them money, though only a small amount, we not only want to teach them how to spend the money they earned responsibly, but also how they can let the money grow larger by not spending it. At their ages, the concept of growing their money is not that easy to grasp, so we figured the best way to show them what we meant was getting a savings account for them and letting them see that they will get a little bit more every month as long as they don’t spend the money. Ideally what we want to have from a savings account are 1) the account can be opened under the kids’ names so they know they own the money; 2) the bank has local branch office so they can take any extra money they have to the bank and deposit it; 3) the account pays interest so they can see how money grows over time. Well, as you can imagine, nowadays savings accounts with these features combined together are pretty hard to find. After some research, the only result that came up that met the first two conditions was the PNC Bank ‘S’ is for Savings Account for minors. There’s a PNC branch not too far away from where we live so making deposit would be easy. The only problem is the account, even though a savings account, pays almost nothing with a 0.01% APY. With only $100 to begin with, my kids will see no growth of their money at all at the end of the year. While I like the fact that we can get an account just for the kids and they can walk into an office to make a deposit themselves, I still don’t want the bank to have my kids’ money for free. So I abandoned the idea of getting an account at a bank with physical local presence, even though I feel that letting the kids deposit their own money is an important step in helping them understand the process and develop the habit of saving money. Eventually, I went with ING Direct Kids Savings Account. Since it’s an online bank, the kids won’t be able to walk in and deposit their money, not exactly what I wanted. But at least the money in their accounts will earn them something, even though very little (ING Orange 4 Kids Account currently has an yield of 0.80%). For now, I will just have to transfer the money from my account to theirs every time they earn a dollar and want to save it. Why Are Savings Account Interest Rates So Low? Also consider buying US Treasury I Savings Bonds for kids. Every social security number is eligible for up to $10,000 in annual purchases. The interest is nothing to write home about these days, but it will still grow exactly with inflation and, more importantly, all taxes are deferred till redemption, as much as 30 years away. And if interest rates should rise before that, you can always redeem early at full value. 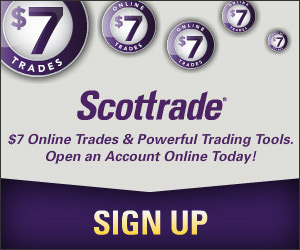 Compared to other fixed income choices, this is still a pretty good deal. What age did you start giving out envelopes? My kid is 6 and ill start next year maybe. Ing in Canada pays 1.5%, I might star doing that too. The Chinese have very good money habits which are worth emulating. By the by, setting your kid with his or her own savings account is a good way of reinforcing financial to kids starting at a young age. Do a little research so you can decide to go with a bank that will benefit your child the most.